Gone are the days when you needed elaborate cosmetic surgical procedures to make small tweaks to your appearance. This is the era of non-invasive cosmetic procedures that have become immensely popular thanks to their instant and noticeable results. Ultherapy® is one such non-invasive procedure that can enhance your facial features. The best thing about it is that it is approved by the FDA and considered safe (1). 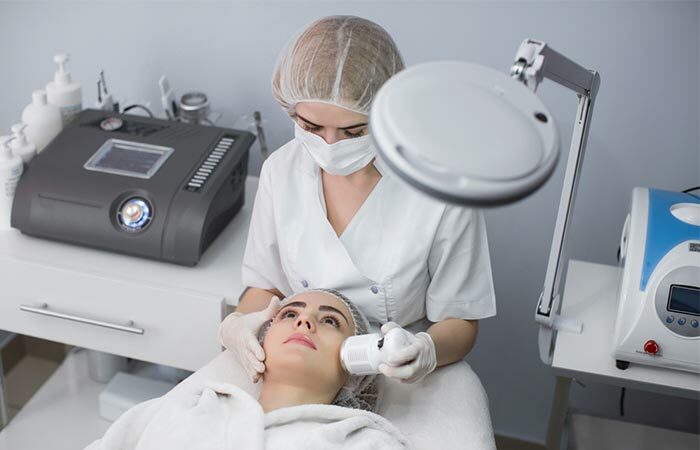 So, let’s find out more about Ultherapy treatment and how it can improve your appearance. Ultherapy is a non-invasive skin procedure that is used to lift and tighten your skin. 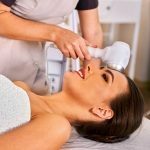 The Ulthera machine or Ulthera System is used to perform this type of Microfocused Ultrasound (MFU) treatment that boosts collagen production and makes your skin firm. It can be used to lift the sagging skin on your cheeks, neck, chin, and under your eyebrows. It is also used to reduce the appearance of fine lines and wrinkles on the decolletage, thus making you appear more youthful (2),(3). So, whether you want to lift your brows a bit or tighten the sagging skin under your chin, Ultherapy is a safe option for you. How does it work? Find out in the next section. Ultherapy uses microfocused ultrasound energy that is focused on the tissues right under your skin (the subcutaneous tissues). When the ultrasound energy is focused on that particular area, the temperature rises above 60°C just for a brief period and produce small thermal coagulation points at different depths (not deeper than 5mm). This boosts the production of collagen and elastic tissues in your skin to reduce the appearance of wrinkles and tighten your skin (2). In a clinical trial involving ninety-three patients, about 58.1% of patients experienced improvement in skin laxity after undergoing Ultherapy (4). 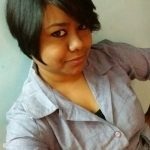 The best thing about it is that it can be customized to meet the unique needs of different patients. This is done by adjusting the depth and energy of the ultrasound. Now let’s take a look at what exactly happens during the procedure and how you can prepare for it. You need to talk to your doctor about your skin concerns during a one-on-one consultation. The doctor will first assess your skin to determine whether you are an appropriate candidate for this procedure or not. During the consultation with the doctor, he or she may prescribe you some special skin care products. They may also suggest a skin care regimen that you need to follow until the day of the therapy. Right before the therapy, the doctor may also prescribe you anti-inflammatory or pain-relieving medications to ease any discomfort during the procedure. The doctor first cleanses your skin thoroughly and identify the areas where the therapy is to be performed. Once identified, the Ultherapy practitioner or the doctor will apply ultrasound gel on the area and place the Ultherapy device on it. The doctor uses an ultrasound viewer or the ultrasound imaging machine to adjust the device and look deep within your skin. This helps them make sure that the device is placed correctly. 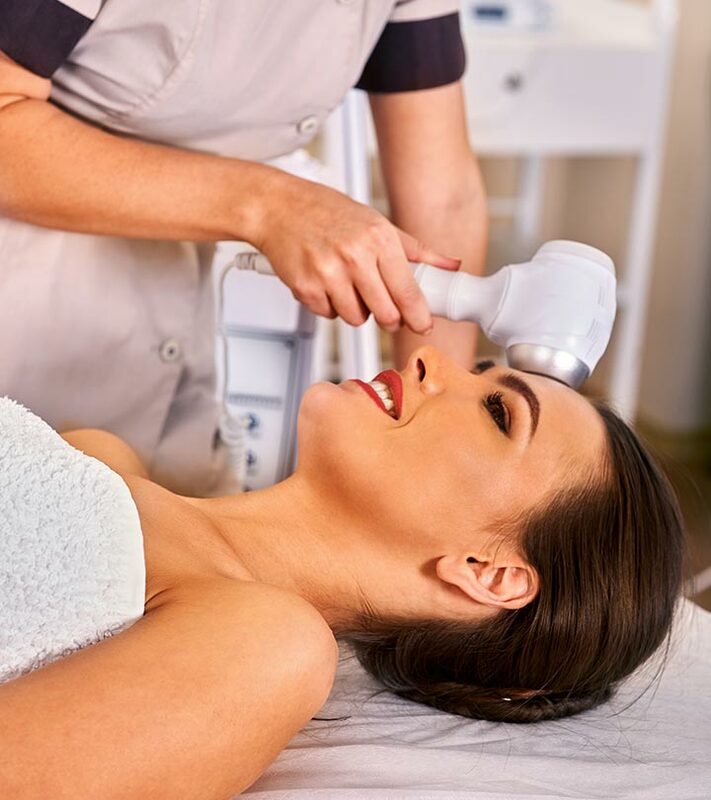 Once everything is set, the doctor applies focused ultrasound energy on that area of your skin. You will start noticing results after a few days of your treatment. You will continue to see improvement in the target areas for about three months, depending on your body’s ability to produce collagen. Once your body stops producing collagen, the natural aging process will start all over again. Depending on how your body responds to Ultherapy, you may undergo as many sessions as you want. Now, the big question is does Ultherapy hurt? Are there any side effects that you might experience? Find out the answers below. During the treatment, you will feel quick tingling sensations on your skin. You may also feel a very tiny amount of heat beneath your skin. These sensations are quick and intermittent. That’s the reason the doctor might give you pain-relieving medicines before the treatment. So, does that mean Ultherapy hurts a lot? I would say it depends on your pain tolerance levels. If you have high pain tolerance levels, the minor tingling sensations won’t affect you much. However, if your pain tolerance level is low, you will need to take pain medications. These effects are claimed to be irreversible. Several lawsuits have been filed by unhappy patients against the makers of Ulthera, a German pharmaceutical company called. However, most of them reported that they received treatment on their cheeks and cheekbones. As I mentioned earlier, the FDA does not approve using Ultherapy on any other areas of the face except the three specific areas mentioned above. Therefore, faulty treatment technique is one reason for these adverse effects. 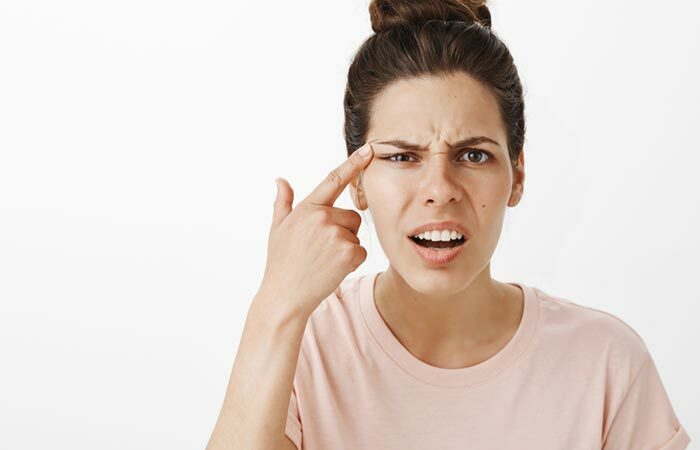 One particular case has also been reported where the patient experienced pain and migraines and whose symptoms of Lyme disease resurfaced (5). The cost of this entire procedure varies from place to place. It also depends on the medical facility. 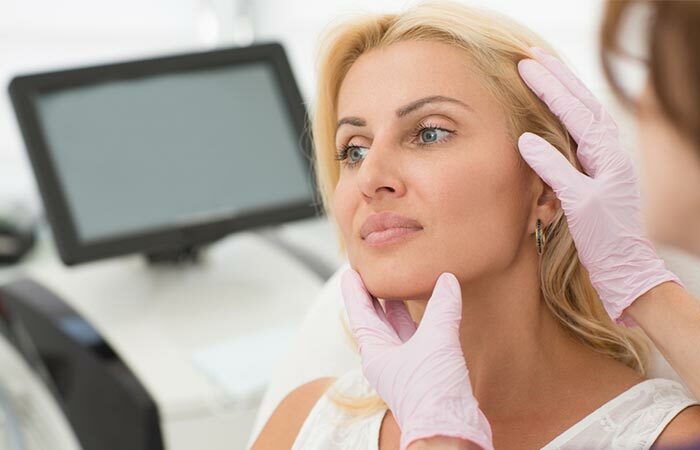 As per data provided by the American Society for Aesthetic Plastic Surgery, in 2016, the average physician charged about $ 1,802 for Ultherapy (6). 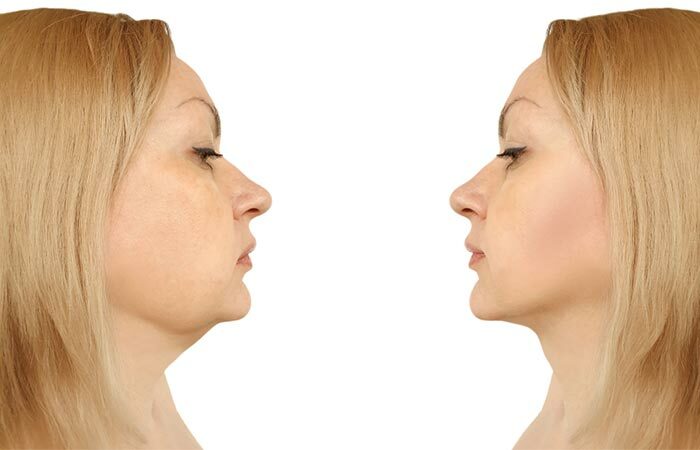 Undoubtedly, Ultherapy will give you subtle but visible results and is a great way to get instant facelift-like results. However, make sure you consult a doctor before undergoing this treatment. Also, find an experienced Ultherapy practitioner who adheres to the strict protocols and guidelines related to this therapy. Do you have any more questions about this unique cosmetic treatment? Leave them in the comments section below and we’ll get back to you!